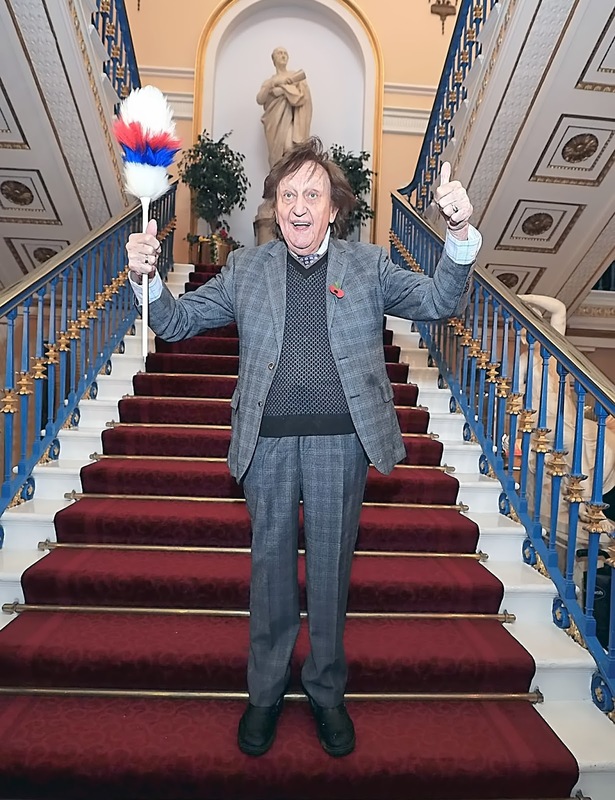 Sir Ken Dodd was one of Britain's most recognisable and well loved entertainers. One of the most popular artists of his time he topped the record charts, filled theatres and starred on TV. Ken was an old-fashioned variety performer with his roots in music hall. He was born Kenneth Arthur Dodd on 8 November 1927 in the Liverpool suburb of Knotty Ash, the son of a coal merchant. Knotty Ashe was central to his stage show as he wove surreal tales around Knotty Ash and its inhabitants the Diddy people, with their jam butty mines and black pudding plantation. As a child he showed an early talent for clowning but without any thought of making it a career. His father and late mother, Sarah, bought Ken his first 'Punch & Judy Show' when he was a child, and he used to put on shows in the back garden. Later he began his charitable fundraising activities by making appearances in local shows and garden fetes. As a child a prank went wrong when he tried riding his bike with his eyes closed and sustained injuries to his mouth that resulted in his distinctive toothy appearance. Ken’s love of 'showbiz' began when he saw an advert for a ventriloquist’s doll in a local paper. His parents bought it for him and he christened it 'Charlie Brown'. Ken worked on a semi-professional basis for years to supplement his earnings as a salesman 'on the knocker' in Liverpool. He had his own van and sold household goods around Liverpool housing estates. He made his professional debut at the Empire Theatre, Nottingham in September 1954 and right from the start loved 'daft' billing! Early in his career he was described on show bills as 'Professor Yaffle Chucklebutty – Operatic Tenor and Sausage Knotter'! In complete contrast, he made his Shakespearean debut as Malvolio in Twelfth Night at the Playhouse Theatre, Liverpool in 1971. He created his famous Diddymen and they have featured in his stage and television shows, as well as in comics and even board games. Characters like Dickie Mint, Mick The Marmaliser and The Hon Nigel Ponsonby Smallpiece are among the mythical Diddymen who work in the legendary Knotty Ash snuff quarries, black pudding plantations and broken-biscuit repair works! His ventriloquial pal, Dickie Mint, remained a popular and endearing part of Ken's shows throughout his career. Ken married his long-term partner Anne Jones on Friday 9th March 2018, three days before his death. 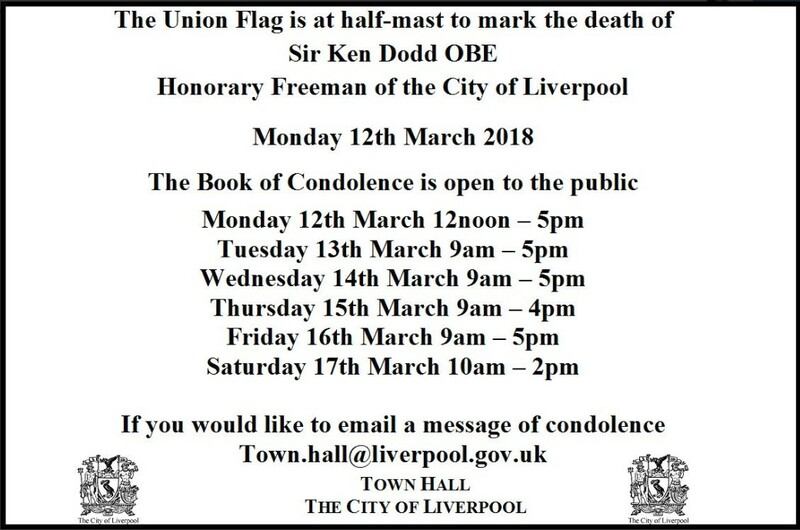 Liverpool has lost yet another legend he will be sadly missed, Rest in Peace Sir Ken.